Larry Birkhead, Howard K. Stern, Virgie Arthur and several hundred more of Anna Nicole Smith’sclosest friends and family paid their last respects in a private ceremony at Mount Horeb Baptist Church in Nassau early on Friday. She was buried next to her son Daniel. Rumors are floating around that Howard K. Stern, everyone’s favorite sycophant, got paid millions of dollars (reports are ranging between $4 and $5 million) by Entertainment Tonight for the rights to cover the funeral proceedings. 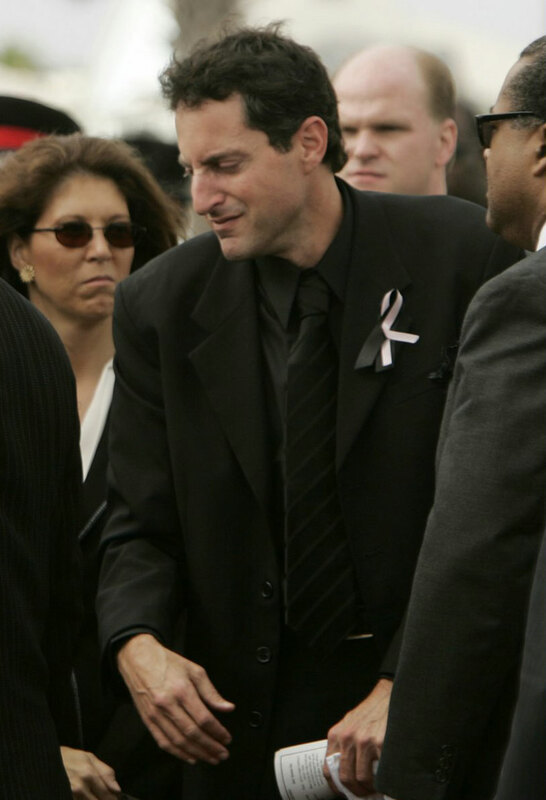 During Stern’s tribute to Anna Nicole at the service, several angry references were made to the star’s “so-called family members,” and he vowed to continue to protect and fight for her in death. 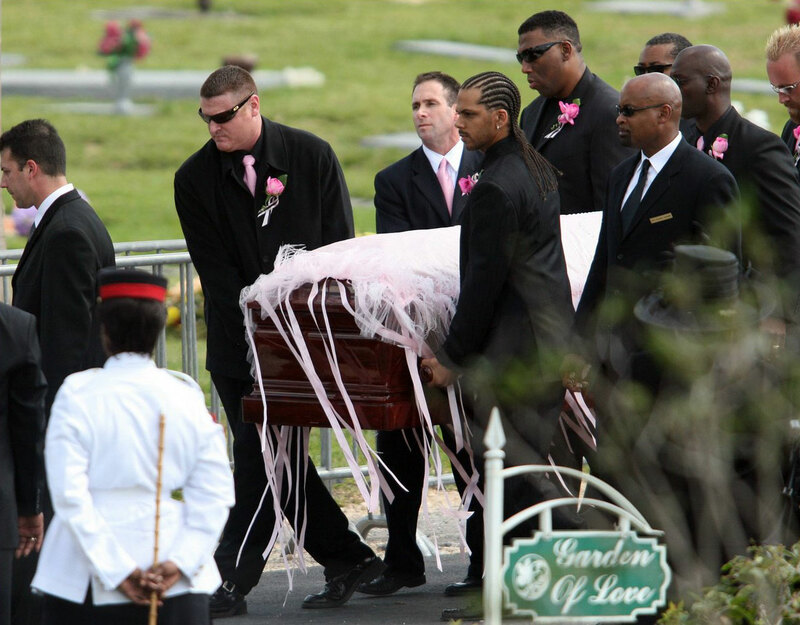 Maybe now that Anna Nicole’s been laid to rest the scandal will follow right behind. Um, right. March 2, 2007. Anna Nicole Smith, Howard K. Stern. 4 comments. February 28, 2007. Anna Nicole Smith. Leave a comment. Anna Nicole Smith’s lawyer/husband/possible-father-of-the-baby gets paid by Entertainment Tonight to cry and look pitiful on camera. Is this the best he could do? February 12, 2007. Anna Nicole Smith. 1 comment. CNN is reporting Anna Nicole Smith has died in Hollywood, Florida at the age of 39. Anna was rushed to the hospital this afternoon after she was found unresponsive in her hotel room at the Hard Rock Casino. She was given CPR on the scene and rushed to the hospital. Danielynne Hope, Anna’s 5-month-old daugher, is currently in Bahamas with friends of Anna. Check Defamer for updates on Anna Nicole’s death. February 8, 2007. Anna Nicole Smith. Leave a comment.